It was only a matter of moments. The Metropolitan Museum of Art in New York will be hosting an exhibition at the Costume Institute next Spring, honouring Lee Alexander McQueen’s work in a show entitled, Alexander McQueen: Savage Beauty. Andrew Bolton, whom I’ve had the pleasure of meeting, will be leading the exhibit team for the show, along with lead curator Harold Koda with creative consulting support from Sam Gainsbury and Joseph Bennett, McQueen’s runway show ring-leaders. Running from May 4 to July 31, 2011 and kicking off with the Costume Institute Gala on May 2, the exhibit will feature 100 pieces of McQueen’s work – from his graduate collection at Central Saint Martins to his final collection in February, 2010. A dress from McQueen's final collection, FW10. Bolton will be pulling works from the London and Givenchy archives, and will be ringing up Ms. Guinness to borrow pieces from Issy Blow’s collection. Blown Away: Issy in McQueen's FW02 cape, as photographed by Donald McPherson. 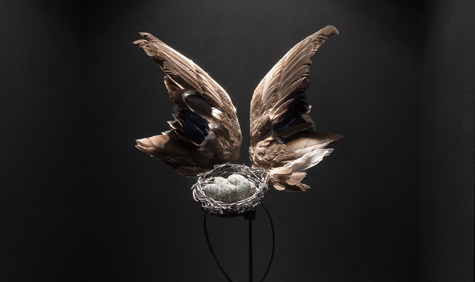 Also featured, will be a “Cabinet of Curiosities”, with the fantastical accessories Lee created with close friends Philip Treacy and Shaun Leane. PPR (which owns Gucci Group, which holds the Alexander McQueen brand), is picking up the tab for the exhibit, along with American Express and Condé Nast. PPR’s François-Henri Pinault and wife, Salma Hayek will serve as the evening’s honorary chairs. Colin Firth, Stella McCartney and Anna Wintour will be the co-chairs. Where’s Ms. Guinness in all of this, I wonder? And Ms. Moss? A book by Bolton and Koda will also be published to accompany the show. Well, Lee McQueen, it is a sad day when I have to see your life’s work in a museum. Your frocks are now finite, which saddens me even more. 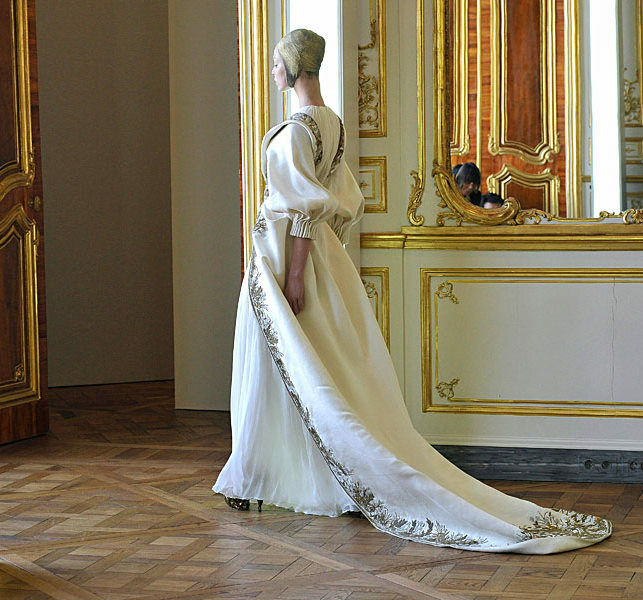 However, if it means that more of us can see the beauty you created, then I await my McQueen moment at the Met. If there is anyone I trust with this, it’s Andrew Bolton. With files from WWD and Forbes. Images courtesy of WWD, Donald McPherson and Wallpaper mag, respectively. Previous Post Is Green the New Brown?